The Copper Mountain Mine near Princeton, British Columbia. Source: Copper Mountain Mining Corp.
Copper Mountain Mining Corp. [CMMC-TSX; CPPMF-OTC] on Tuesday August 14 released new results from drilling on a property located near its flagship Copper Mountain mine near the town of Princeton in southwest British Columbia. The results are from the second phase of a three-phase drilling program that is targeting the New Ingerbelle property, where the company is aiming to add a minimum of 150 million tonnes of measured and indicated resources before commencing a feasibility study on the site’s development potential. The goal is define sufficient reserves to add another 10 years of production to Copper Mountain’s life of mine plan. Copper Mountain initiated a three-phase drilling program at the New Ingerbelle Mine last year. Phase One was successful in validating and confirming historical data comprised of 582 drill holes, or 80,500 metres. The company said Ingerbelle is estimated to host 104 million tonnes, grading 0.42% copper equivalent (0.30% copper and 0.20 g/t gold), based on a 0.2% copper cut-off grade. The company has said a revised resource estimate, using both historical and new drill data, will be completed in the near future, likely in the third quarter of 2018. “The drill results from our exploration at New Ingerbelle continue to reaffirm our belief in its ability to grow in quality and size,” said Copper Mountain President and CEO Gil Clausen. Drilling highlights from the latest batch of eight drill holes include 102 metres of 0.60% copper equivalent (0.45% copper, 0.52 g/t silver, 0.22 g/t gold) in Hole 181G-10. Hole 18IG-08 returned 99 metres of 0.56% copper equivalent (0.38% copper, 0.70 g/t silver, 0.26 g/t gold). The company said it is planning to complete 30 holes in the phase two drilling program. Of that amount, 15 have been reported. Copper Mountain’s flagship asset is the 75%-owned Copper Mountain Mine. The Vancouver-based company is working in a strategic alliance with Mitsubishi Materials Corp., which owns 25% of the mine. 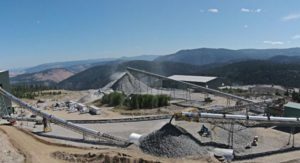 The Copper Mountain Mine produces about 100 million pounds of copper equivalent annually with a very large resource that remains open laterally and at depth. Copper Mountain shareholders recently approved the acquisition of Australia-based Altona Mining Ltd., which brings significant growth potential with the development-ready Eva Copper (Cloncurry) Project and massive exploration potential in the 4,000 km2 (379,000 hectare) mineralized land package all within the highly prospective Mt. Isa area in Queensland, Australia. 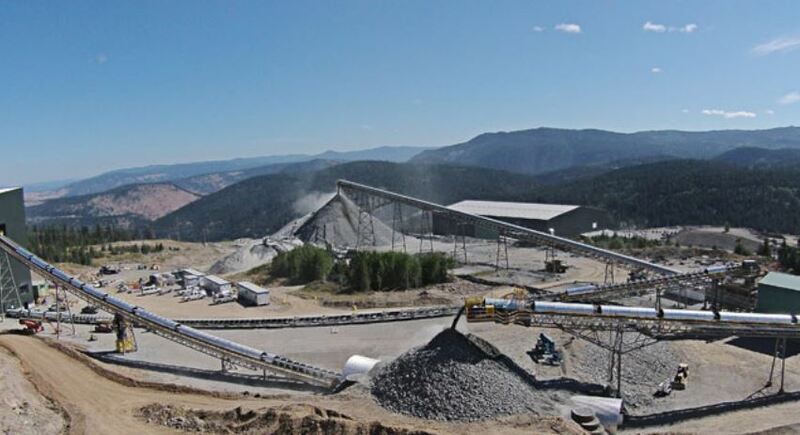 Pierre Vaillancourt, vice-president and senior mining analyst at Haywood Securities, said the Altona acquisition could be transformative for Copper Mountain, potentially doubling Copper Mountain’s production profile by 2020. On Tuesday, Copper Mountain shares were unchanged at $1.06. The shares are trading in a 52-week range of $1.85 and 96 cents.